In early 2014, Pierre-André Morterol sent the files below (Photos, Letters & Death Notices) from the De Boom – De Laurencel archives that he maintains in France. Merci beaucoup! This is Jeanne Frederique de Boom in an undated photo. She was born in Denderleuw, Belgium in 1829 and died in 1863 in Pau, France. Her nephew, RC de Boom, called her Johanna Frederica in his Notes of 1882. A younger image of her appears on the miniature portrait of her and her sister Virginia (Virginie). One of her mother’s letters of 1855 is reproduced below. Like her brother, Cornelius, Johanna Frederica travelled to San Francisco, lived there awhile, then returned to France. She married Henri de Laurencel in San Francisco in 1855. Henry de Laurencel is shown here in 1865, 10 years after his marriage in San Francisco to Jeanne Frederique de Boom. Their descendants include Emma’s cousin, Angelique de Poliniere. Some of their correspondence is reproduced on this page and on Emma’s Correspondence page. Click on Descendance Laurencel-Boom to see a geneaology report with family names including de Sieyes , de Poliniere, Dubarle, de Marliaves, and des Francs. Romain Camille De Boom in 1890,, two of his daughters wedding photos (Fanny Caroline in 1906 and Emma Marie in 1097) plus Fanny’s baby daughter Francis Romaine Haseltine in 1906. 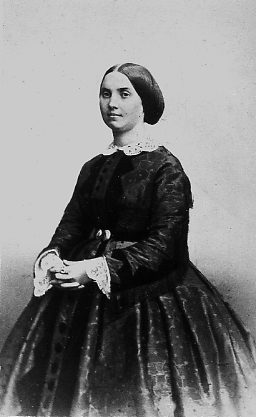 On November 6, 1855 Elisabeth van Santen wrote in Flemish to her daughter, Jeanne Frederique De Boom and her husband, Henri de Laurencel, living in San Francisco. Here is the Elisabeth Van Santen_letter 1855_French translation. Below are scans of the original document, along with an 1890 letter from RC De Boom (Emma’s father), extracts from a letter from RC De Boom his first cousin,to Angelique de Laurencel, a 1955 letter from Frederick De Boom Witzel (Emma’s oldest son) and one from Emma herself dated 1957. 1848 Jean Francois De Boom; 1879 Daniel van Santen; 1881 Marie Reine de Paepe (two notices! ); 1881 Fanny Clotilde Virginie De Boom, 1883 Josephine Vertongen van Branteghmen.